The SONATA is the new baseline. An extremely safe wing that still offers fun and performance in flight. The SONATA is an A-wing with 40 cells and many technical features enabling the combination of an extremely high safety level and good performance, a precise handling and a lot of fun. The usage of 30D Dominico cloth and extra diagonal reinforcement in combination with separately sliced finger ribs offer high durability and long lasting form stability. 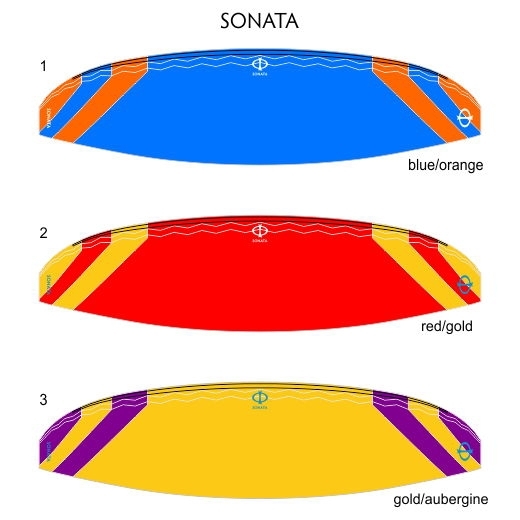 The PHI SONATA is the new baseline of our sport: the new reference. 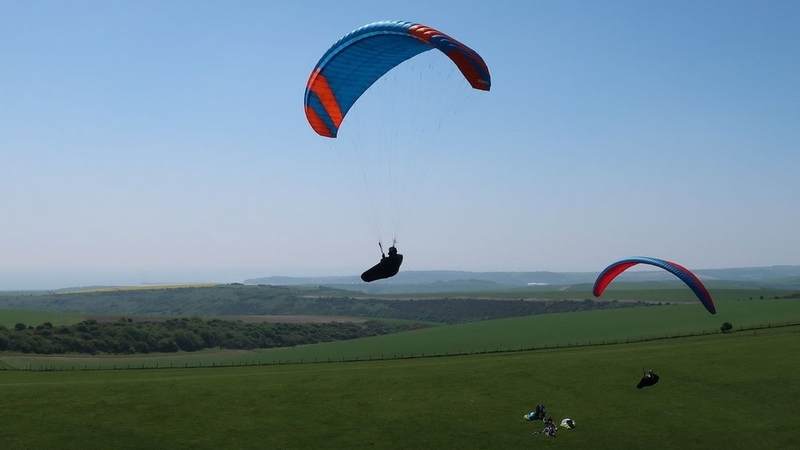 It redefines the safety, performance and fun level a modern paraglider is able to offer. The highest technical knowledge combined with 30 years experience in professional paraglider design made this wing possible. During development the very experienced PHI test pilots team (Mike Küng and Benni Hörburger) noticed a constant progress in the target parameters. The final PHI SONATA shows an extremely forgiving flight behaviour. Its very clean surface (double 3D shaping in optimized zig zag direction) shows its effect by keeping the airflow on the wing even at very high angles of attack. The optimized intake, reinforcement shape and strap pattern enable a new benchmark in takeoff simplicity. The whole construction is very strong and form stable. Even when loaded extremely highly (185DaN x8G) during the certification load test, the test sample was not destroyed. The materials of the extra strong rigging were selected carefully to avoid trim changes by line shrinking / stretching. The SONATA is a heavy duty paraglider in every matter. This wing can be ordered in custom colours. Colours can be chosen from the available serial colours. There is an extra cost and longer delivery time for this; see product options. Full payment is required in advance for all custom colour orders, and one placed these orders cannot be cancelled for any reason. Quoted delivery times are estimates, and may take longer. Email us your desired custom colours with your order, ideally with both text and a screenshot. Imaging a clown in his colorfull striped dress, balancing on a rope and juggling many balls. When you ask him about his secrets, he will smile and may tell you something about talent, enthusiasm, years of experience and constant, hard work. Glider, backpack, compression strap, inner bag. 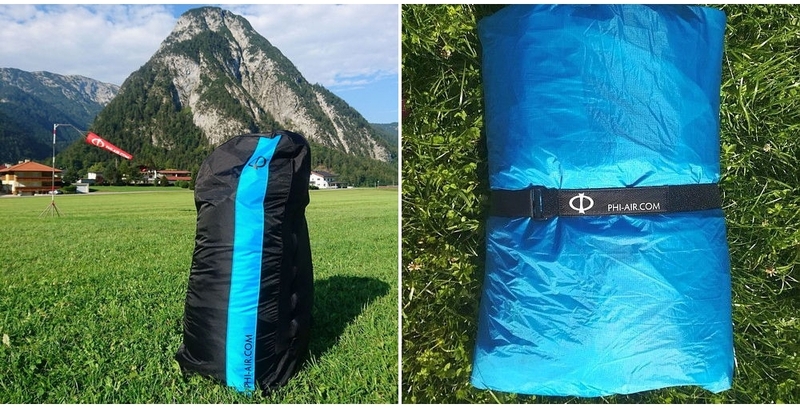 The PHI rucksack is designed to be reduced and light, but still robust and convenient to carry. It can be packed very small, to minimize storage space in the harness.